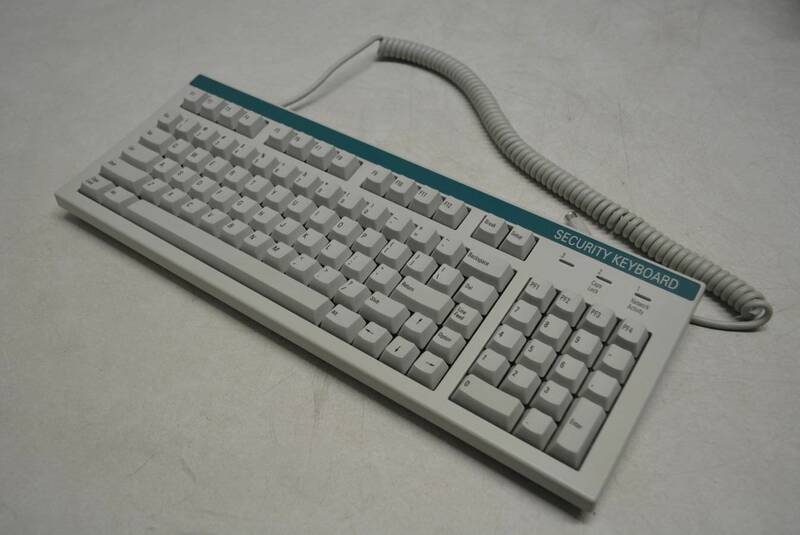 This is an extremely rare layout for a NMB keyboard being that has an ANSI return key and 2u backspace key. This board come with linear Hi-Tek 725 series switches which I will get into later why this version is one of the rarest that I have ever found. 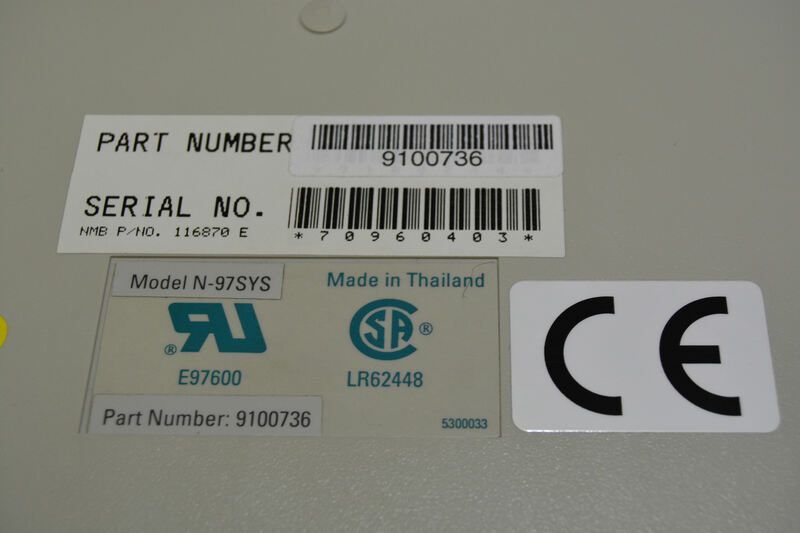 This keyboard has the model number of N-97SYS. Which seems to be a variant made and is based off of the original which can be found here: http://sandy55.fc2web.com/keyboard/nmb_hitek_sw.html listed as just the NCD -97. I wish I had a macro lens but there are still some good photos from sandy55 showing the rare switches. The reason that these space invaders are so rare because of the colour of plastic that was used. Normally all linear switches that are made with a white slider. So with this in mind the switches in this board are actually clickly but they are white but they are still linear!? What is really going on here? 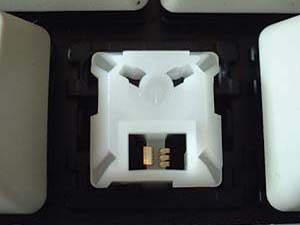 Well it turns out that they decided to mold clicky switches and use white plastic. Now normally clicky would be done in black plastic. Next is where this gets even better, since the board is a terminal keyboard and they are normally linear they just decided not to put the clicker in. 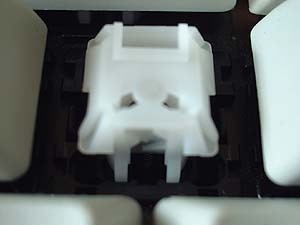 Since the contacts for both linear and clicky switches are the same then we have clicky white linear switches. The board come with a ps2 connector but if you use a simple ps2 to usb converter you will run into issues. It seems like this board likes to speak a version of the AT protocol. Seems like there also could be a version that speak XT but this hasn't been found yet to my knowledge. Luckily there is a simple fix for this version of AT protocol that works fine with Soarer's converter. Now all of the keys give unique codes which is great because some of the keys just need to be remapped. Other than needing a bit of remapping this board is one of the nicest and interesting NMB keyboards that I own. Last edited by TheInverseKey on 02 Sep 2018, 05:04, edited 1 time in total. About those linearised clicky linears… what, do they feel linear while emitting clicks? 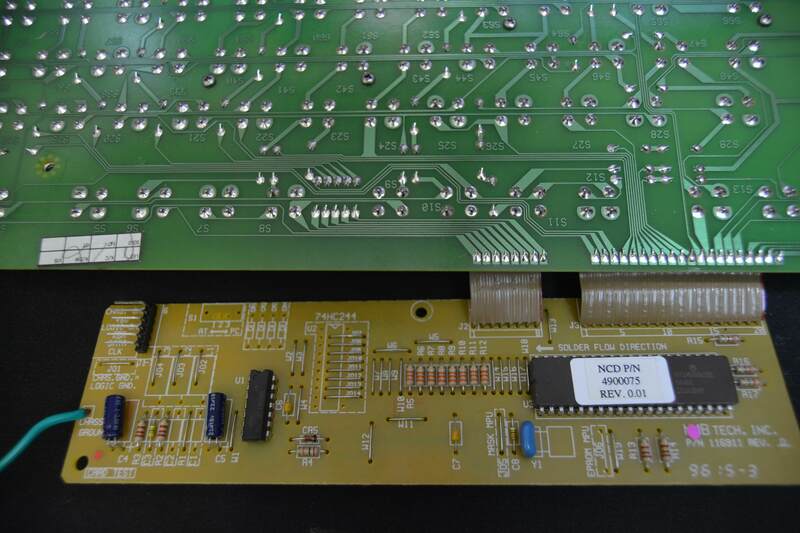 I fixed the link to the layout picture of the board thanks for letting me know. That’s a funny layout. Not what I expected at all. Backspace is actually 1.75u. Delete is almost HHKB style. And the arrow cluster is merged into the alpha block, like a “75%” layout, yet there’s also a full numpad! They weren’t afraid to be distinctive with this one. Looks a bit Wyse-like, with the large spacebar and arrow keys integrated into the alphablock. A bit late, but the linear white version of the late clicky switch (with large stepped eyes) is very common in the later terminal boards such as ADDS and NCR. I assume towards the end of the run of space invaders they were no longer using the linear molds so made all switches using the clicky mold and just left the click bar off to make it linear. Since white is the typical color of linear space invaders they molded them in white. Engicoder wrote: ↑ A bit late, but the linear white version of the late clicky switch (with large stepped eyes) is very common in the later terminal boards such as ADDS and NCR. I assume towards the end of the run of space invaders they were no longer using the linear molds so made all switches using the clicky mold and just left the click bar off to make it linear. Since white is the typical color of linear space invaders they molded them in white. Well then I guess the switches are not as rare as I thought. I own many adds terminal boards but never seen any in them. I guess like you stated that it's only the later years. Thanks though for the information. abrahamstechnology wrote: ↑ Looks a bit Wyse-like, with the large spacebar and arrow keys integrated into the alphablock. A bit?! Notice the placement of Esc, Ctrl and Caps Lock keys and the Line Feed key, PF1..PF4, Break and Setup keys. That's precisely as on Wyse ASCII.